Click here to view the top 10 things I learned in my PR class! I had a great time learning to Blog and will continue to after this class! In my Public Relations 2330 class we were asked to punctuate a letter that is written to Tom from Sheila. Half of the room was to add punctuation to make he letter sound as if Sheila were in LOVE with Tom; the other half of the room was to make the document sound as if she HATED Tom. Here is the format that we started with. It has no punctuation. The class participation in this project was extremely high. Maybe some of the ladies had just gotten out of a rough relationship and needed to vent. The point of the exercise was to show how important proper punctuation and grammar are. It is very easy to misunderstand a written document because one cannot here the tone of the sender. For any girls or guys out there that are inspired to write a love letter to someone click here to see some tips! If you would like to write a proper hate letter, just switch all the advice from the site backwards! How am I supposed to explain THIS to my Future Employers? 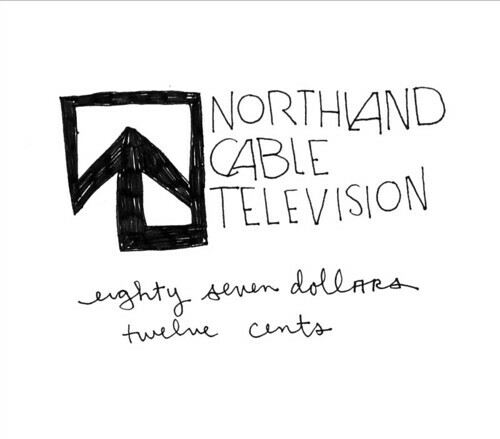 If you live in Statesboro or surrounding areas you have seen the local commercials of Northland Cable. If you have missed out on this wonderful experience, I have posted some of these masterpieces for your viewing pleasure. This is just a taste of the type of marketing techniques that are deemed acceptable in this area. I have to say that my little sister’s elementary school, Camp Creek Elementary in Lilburn,Ga, has a better marketing department for the 5th grade news show. In fact, as stated in the Statesboro Business and Lifestyle Magazine, 30 second commercials only cost about $8.00 per spot. That is less than two meals at Mcdonald’s. Does anyone know the going rate for a quality superbowl commercial? – What a difference! How am I as a marketing student supposed to explain to my future employers that I understand the ins and outs of advertising when for the past four years I have been exposed to these types of campaigns? As you can see, it is a common theme of these folks to invite their friends and families to star in the home-made commercials. Could they not have taped a real banquet, or at least asked more friends to sit in chairs in the back of the room? P.S. cute kids at the end- who’s their agent. I think Spongebob would be offended that his song was used in such an embarassing style. Come on, even a cartoon can do it better. I am pretty sure that the Spongebob theme song has a copyright, and it is illegal to use it in a different form. By the way, from what I have learned (and correct me if I’m wrong) one should not advertise for one’s competition that is directly accross the street. Please, don’t show us inside any of the properties that you are renting out… I’d rather see how cool you look in your convertable. I am very excited to see that your handy man actually fixes things though, at least someone around here does. PLEASE check out this interview with “Bubba San” in Statesboro Business and Lifestyle Magazine! He states that companies need to brand their business. So what is Car City branded with?- foolishness? Low quality? They dont even show the cars in their lot! So without any further stalling… HERE WE ARE LADIES AND GENTLEMEN… The pride of Statesboro! CAR CITY! Look Y’all… They wash ‘Em too! From the Textbook”Public Reltaions: strategies and tactics” by Dennis L. Wilcox and Glenn T. Cameron. Here are just a few facts from chapter 4. Larger companies tend to include PR in their policy making process because they tend to be more sensitive than others to policy issues and public attitudes. The first corporate PR department was started by George Westinghouse in 1889. Corporate Communications is often used as the department name instead of PR. Other names include: corporate relations, marketing and corporate affairs, investor relations, and community relations. Sometimes the name “public relations” or “PR” gets a bad rap, so the other terms are used to keep the department from being labeled negatively. The head of the department is usually named one of three titles: Manager, director, or Vice President. Various levels of management influence the PR department in order to effectively reach the target audience. 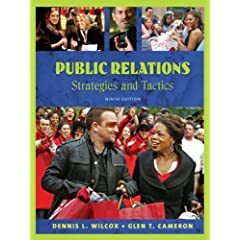 Outside PR firms may be good resources and have new and different ideas that a company has not considered, however they may lack full-time committment and may be more expensive than having an in-house PR department. While listening to “Marketing Over Coffee” with my sorority sisters on the chapter room floor, we found some pretty interesting facts. These two men record their conversation in a Dunkin Donuts about the different marketing techiniques that different professionals use and the effects that they have. They started out by talking about a new barcode technique on baseball cards and even billboards. A person can scan barcodes with their cell phone and computer to bring up websites and interesting blogs that have to do with the product that they scanned. Moving on from that, the men began to speak about email tracking and the use of TWITTER. They reitterated several facts that Professor Nixon has spoken about and over the course of this semester, I have learned are very important as well. The Marketing Over Coffee” guys have over 9,000 people following them. They stated to keep it professional, no one wants to hear when you are feeding your children. Uh-Oh… When Technology Goes Wrong, It’s Nice to have a Hard-Copy. President Obama has often been characterized by the public as a great speaker. During his campaign I fell into the group that was mesmerized by his ability to use words so well and speak so eloquently. I have grown up as a republican and still believe myself to be, however I was always embarrassed by former President Bush’s inability to sound professional, energetic, or unfortunately even intelligent when speaking to the country. Of course he is intelligent; I know this, but it is very clear that Bush is not the best public speaker, and not many republicans are. So when Obama began his campaign I was most enthused to watch some of his speeches. He has great stage presence and a deep passionate voice. He spoke clearly and with great emotion. What I didn’t know, was that the entire time (even walking around the room) he was looking at a teleprompter with the exact words of the speech written out. I understand the need for a teleprompter, but usually it encases only outlines so that the speaker does not loose train of thought. Most public speakers keep a hard copy in front of them or on note cards. In my public speaking class at Georgia Southern University we were not permitted to use any notes on certain assignments and must complete the speech from memorization. Unfortunately, President Obama was not prepared for this type of malfunction at his “Town Hall” meeting that was supposed to be impromptu Q&A from citizens around the country. What should his PR team do to combat the negative press that they receive? What if it happens more than once? Let me make myself very clear in that I am not making fun of the President. I am just commenting on a PR connection and was wondering how people would handle the publics reaction. Twitter From the start of this course till now, Twitter has BLOWN UP! I have been so surprised to see celebrities that I am interested in post on Twitter. Ryan Seacrest, Britney Spears (well… her staff), and Oprah all update me on what is going on in their lives and those around them. I am also following FOX news and CNN; I like to see how differently they report on things or if they even cover the same stuff. As a new Tweeter, I enjoy following more than Tweeting. I use it as an “updater” so that I can get quick snippets of what is going on. I get Enews texts sent to my phone so that i know the latest gossip in HOLLYWOOD. One of the things that I tweeted about during this assignment was the success of War of the Wings, a philanthropy event hosted by Kappa Delta. At the end of April KΔ presented a check to Prevent Child Abuse Bulloch County for $6,400.00, which was 80% of the money raised at the event. The check ceremony was at Picnic for Prevention, an annual picnic to raise awarness. The other 20% of the money raised was sent to the national Prevent Child Abuse America office. Thank you to all who came out and participated! !